SugarSync is a secure cloud storage solution trusted by millions of users worldwide. 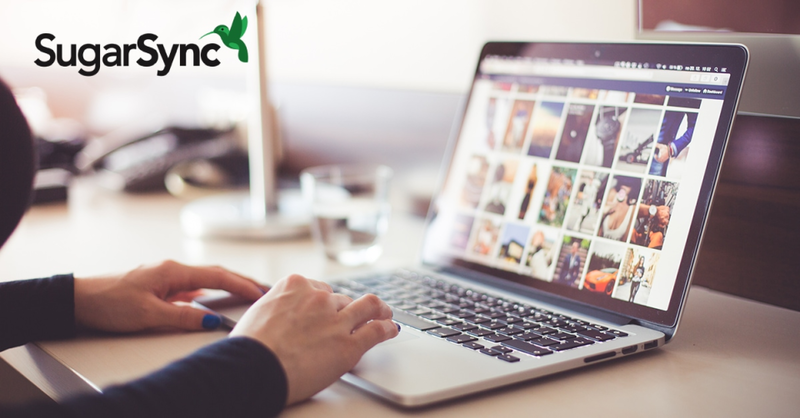 Easily back up, access, sync and share documents, photos, music, videos and more across any device. Have you ever been away from home or the office and realized that you needed a file on your computer? 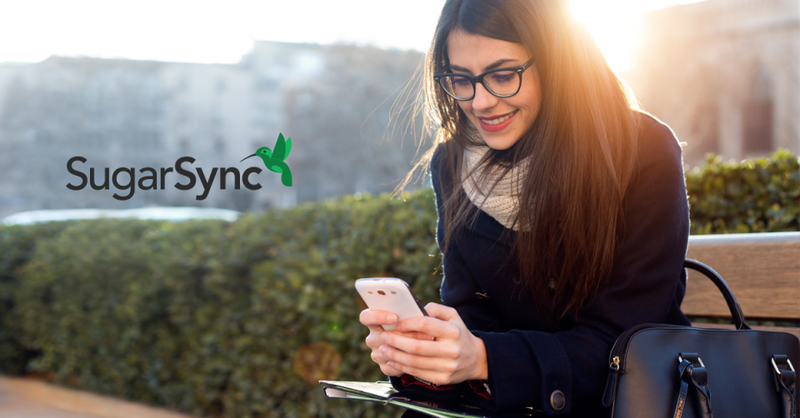 SugarSync puts all your files at your fingertips from any other computer or mobile device, enabling you to do more with your files while on the go. SugarSync has by-far been the most reliable file-sync program I have used to date. Pros: The biggest feature of this program, and the one I admire the most, is the ability to sync files and folders anywhere on the computer without having to move them to a specific folder. 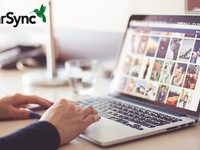 All the other systems require you to move your data into a specific folder they create, but SugarSync allows you to right click on any file/folder on your computer (including network drives and external drives) and choose to sync the right where they stand. I also like their new backup copy feature that maintains an extra copy of whatever folders you want for safety and versioning changes. Cons: The price is the worst part of this program - it is far more expensive than any other program like it that I have ever used, and each year I am forced to think hard on whether or not I want to renew them or not. They are at least 5 times more expensive than their closest competitor, and the only justification is syncing files/folder where they sit. Overall: SugarSync allows me to easily syncronize files between all of my computers without having to move them from their original locations into a central folder. SugarSync offers the folder specific syncing that very few others do. Cons: Once in a while there is a hiccup and the sync stops working properly for a certain folder. That can be a little nerve wracking to fix, but for the most part, it's a time saver. I also don't like that they went from freemium to pay only at one point; it's not that it wasn't worth it, but it always feels a little sneaky when you become reliant on something and then you're almost "forced" to keep going with it. Pros: The best thing about this software is that I can download the shared folder and sync locally so I don't HAVE to use the web app if I don't want to. I can drag and drop files and sub folders on my desktop and still sync with the cloud. Cons: One team member in particular can't delete anything, files and folders she deletes keeps reappearing. We think this is because the version we have is older and not supported anymore, honestly. We have it as a legacy and they don't sell it anymore. I don't believe the newer versions have this issue. Overall: Overall, this is a wonderful solution for SMBs to efficiently share files without investing in a complicated enterprise solution that requires IT setup and maintenance. Pros: Platform is ideal for a small business with a handful of remote users. Files are synced in the cloud and duplicated on a user's hard drive. Cons: Occasionally it just stops syncing files. Usually I discover this when I'm in the middle of collaborating with a team member or working on a critical document. It is frustrating to have to reboot or refresh which usually fixes the problem but not always. Overall: Really love that I don't have to check files in/out when I work on them. If another user is editing a document in parallel, the SugarSync system saves both versions. Wish it were more reliable. Very nice file sync program. Pros: What i think sets SugarSync apart from other file sync programs is that you can chose to sync any file or folder on your computer. You don't have to change your file structure or drop files in a certain spot to sync. Cons: I would like the ability to access and restore files of other users in our company account. It would help with support of some users. Overall: Overall we are very happy with sugarsync. Pros: My group has been using this as a repository for file sharing for many years. The app allows us to easily access files on the go. Files and folders can be renamed with ease. Cons: When a new file is uploaded the date does not change to the most recent date. Moving files is a bit cumbersome as there is no ability to drag and drop to move files among folders. Pros: I can keep my own folder structure. I share folders with my family and they also can keep their structure. All is synchronized. We use Notebooks, so a normal server would not work when we are traveling. Iphone App picture sync totally buggy and unreliable. Overall: It is a great product, support does a lowsy job. Pros: I have been using sugarsync for over 5 years and I absolutely love it! My files are backup automatically to the cloud and I can select which folders are backed up automatically and can even change this on multiple devices. I backup my cellphone, laptop and tablet with it and have never lost anything! Overall: Love its usability and how it backs up all my files! A great way to share files and keep them always updated, anywhere, anytime! Pros: In addition to all the features that usually present this type of tools, such as a synchronization folder, share with collaborators, etc. This application allows backups and automatic synchronizations on all devices. Even upload files vía email. Additionally, you can save backup copies of your file structures to prevent accidental fatalities! Pros: The interface is almost intuitive. The program keeps files (and folders) completely in Sync across Windows and MAC systems. Changes on one system appear on others. The Sync can be set so only certain folders are on a given system. Overall: The ability to access and change a file from multiple systems and have the change propagated to multiple locations. Pros: It was super easy to setup, allows backing up of existing folders (as opposed to Box.com or Dropbox). We really like the version history. Cons: I didn't find anything that we really disliked about SugarSync. It did everything we were looking for and more. 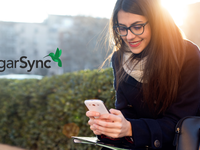 Pros: Our team loves the flexibility that SugarSync gives us to quickly and easily share documents with each other. Cons: Occasionally, we run into syncing issues, even when all of us have the desktop app open and the SugarSync icon is green. Pros: Can sync any folder, customizable by device. The ability to sync multiple devices across platforms is great, including mobile for true access anywhere. Copy public link is a great, easy way to send a file to someone. Cons: Lately, the desktop app hogs tons of resources and seems like it's constantly using 30 or more % processor. While it wasn't always this way, it's not completely reliable in terms of keeping files synced- I've had issues with file versions getting mixed up after thinking/expecting they were in sync. This requires a app exit and restart to re-trigger the syncing process. Pros: The SugarSync app is great to keep files organized and file share with a team of employees. Keeping files on a cloud base software saves from storing larger files on our computers. Cons: Sugar Sync seems to require an update every week or two that takes a very long time to complete. Most of the time, we just update before we leave for the day. 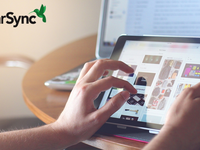 Overall: Sugar Sync's quick file storing and sharing software is a must-have for any business. It seems to me an extremely useful tool! Pros: I have been using this tool very recently because I met it a short time ago, however, it seems too useful! 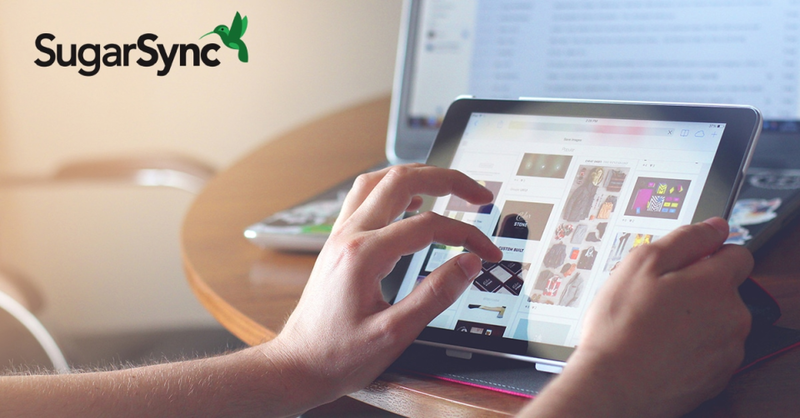 You can synchronize the files to the cloud without having to have them in a very specific folder, you can also do it from wherever and whenever! Cons: One of the few things that plays this great tool is its price, I think it is a bit high, however, if you are a person who wants everything to be in the cloud for more protection, in the end you will end up looking for the best quality and ease. Pros: The ability to backup literally anything is nice. You can upload files by email directly to your cloud storage with no file size limit. Setting permissions on the files is easy to do, and they give you a good amount of storage to start with. Cons: Used to be a free service, now you have to pay for your storage. Cost is relatively cheap, but I lost access to files when I decided not to pay my subscription. Be sure to always have a local backup copy of your data! Pros: Easy way to share sales resources documents in a place where everyone on sales team can access and upload edits. Pros: I liked the ease of setting up everything. The online tutorial I found was super helpful and had everything done pretty quickly. Cons: Ultimately, it didn't play nice with some of the other programs we were using. We found another solution that integrates well, but I would still recommend it if someone asked. Pros: Very intuitive for tech challenged user - easy to sync with my Iphone and stores tons of stuff. Literally have two computers backed up thru SS and use it to back up my Iphone. Cons: Seems to be less innovative than it was a few years ago - do not see ads, etc.. but it still does everything I want and more. Excellent option to keep your files sync'd across different platforms. Pros: This software works to synchronize files across several platforms, such as android, windows, IOS or Mac. Cons: Costs - there are other programs available although they don't work quite as well, in doing virtually the same thing. SugarSync doesn't offer anything unique to justify the cost of the service. Pros: SugarSync is a cloud backup solution that allows you to backup your data to the cloud. 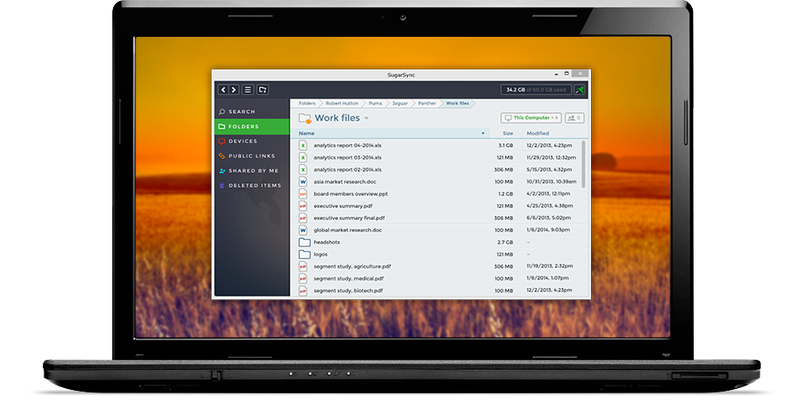 It works almost intuitively, allowing you to select what folders and files you want to sync, and instead of creating duplicates on your system and hogging space like Dropbox and other options do, SugarSync allows you to sync items in place, without creating a SugarSync directory on your computer with copied versions of all the files. Cons: Unfortunately, SugarSync did not work with MyCloud, which meant it wasn't the app for me. It's also insanely expensive. I can get 1-2TB of storage from other places at a lesser price than a month, that do the same exact thing. In my opinion, SugarSync doesn't offer anything truly unique or life-changing that can justify the cost of the service, especially as after awhile, it started running up the CPU and taking more and more resources from other programs. I have used sugarsync to keep my files secure and structured how I like them. Pros: I enjoy backing up all my folders in the same structure I created them on my computer. When I need to go to my backups (never ideal) I can quickly get why I need fast. I also like the ability to share folders with permissions when necessary. Cons: From the business side, nothing. From the personal side, just wish I could automatically backup photos since that's near and dear to me. Not a huge deal, though, more or a nice to have. I still think sugarsync is a great offering. Use SugarSync for a year only because the sync client not work anymore in my PC. Cons: In my opinion, pay all month for this services is too expensive. Exist many other software that offer better conditions an are free. Pros: Ran seamless in the background and made it easy to store all files and data in the cloud. Great interface. Cons: I eventually switched to just using google drive which is a lot more affordable and it works better with other software I use. Sugarsync is an easy to use backup solution. Pros: The thing I like most about the software is how easy it was to configure everything. I was up an running in no time at all. Excellent for easy access to saving files. Pros: I enjoy that you can save different files such as music you may have download as well as pictures. You can reach your files from your phone or computer. Cons: I haven't found anything that I dislike with this software besides that it does cost money to use. However, it's pretty cheap. I tried using this software in lieu of using Drop Box or Google Drive. Pros: I liked that this software would keep your existing file structure so that it was basically like having your desktop available anywhere at anytime. Cons: I didn't think the cost was worth it for the folder structure feature. And since it was a recurring charge, I decided to find another type of software to fit my needs. Pros: I really like the option to sync folders like dropbox and is easy to setup and share files with others.